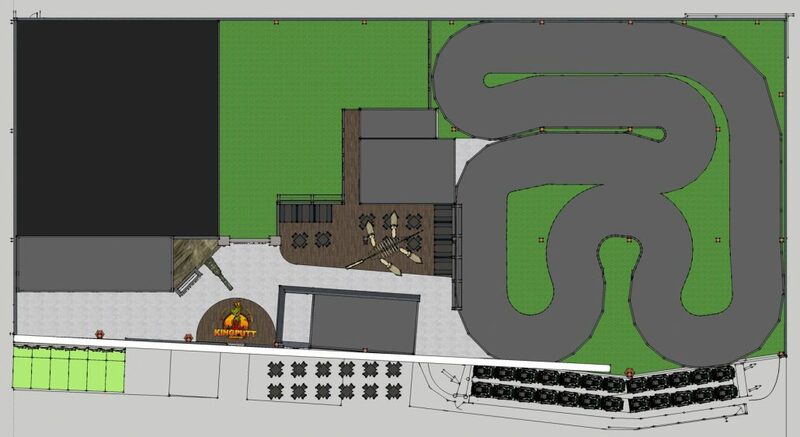 The job: Tucked inside a Las Vegas mall, King Putt Family Entertainment Center needed themed concept design that would unify its attractions and entice guests. 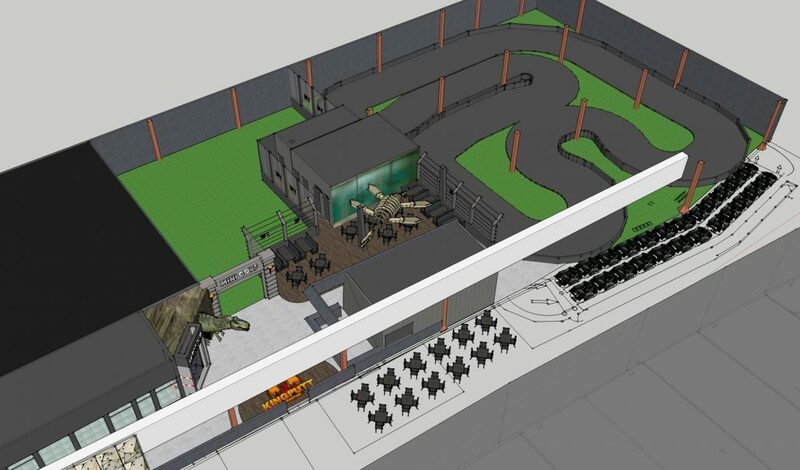 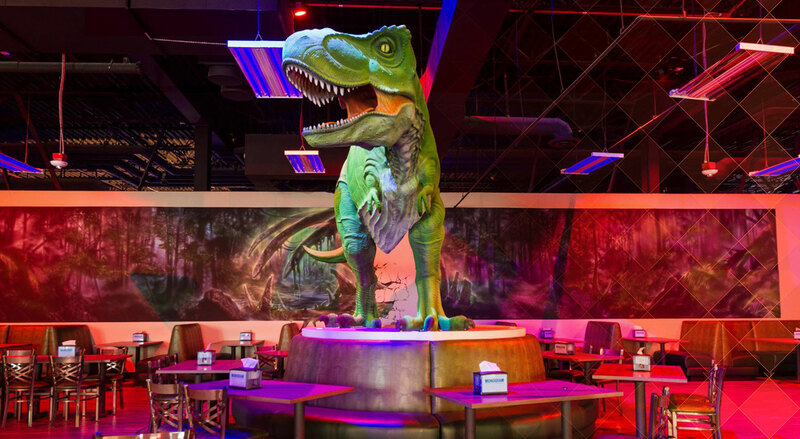 Featuring arcade games, rock-climbing walls, indoor party areas, laser tag, a ropes course, and much more, this sweeping entertainment complex had the attractions and the theme but needed design and FEC brand creation to bring it all together. 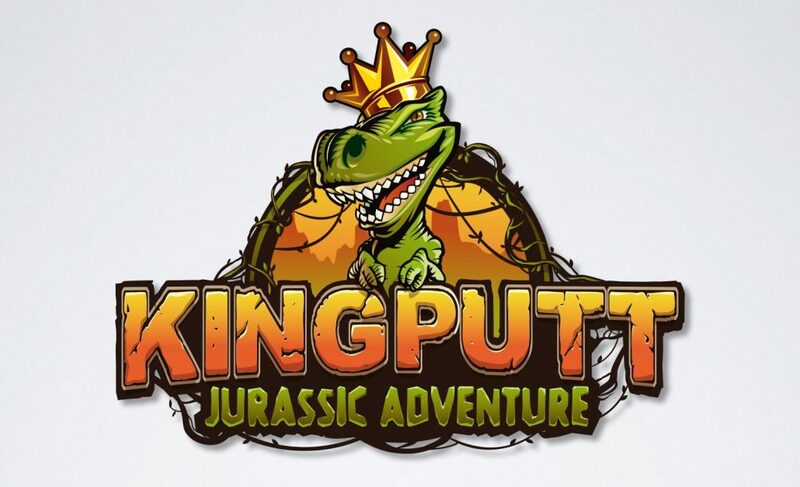 What we did: US Design Lab took King Putt’s existing theme–dinosaurs and a “Jurassic Park” atmosphere–and ran with it. 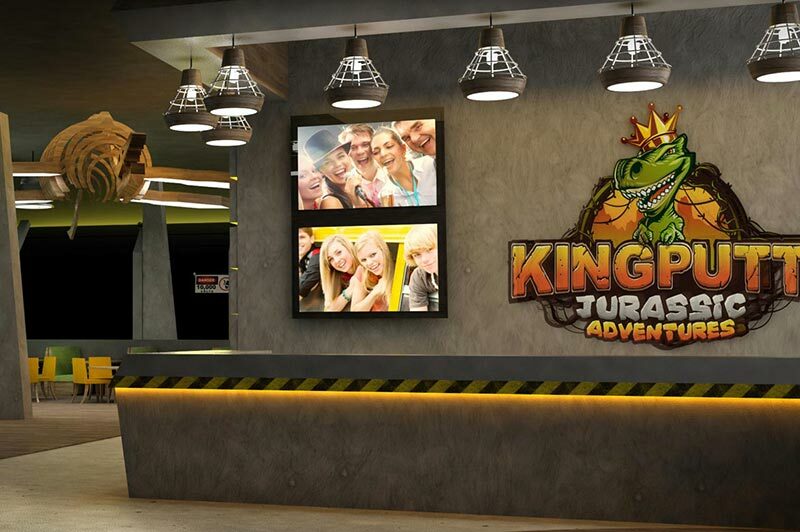 With the creation of a new logo, tagline, signage, website, and other FEC brand creation and collateral, we made King Putt’s incredible theme the center of attention to create a cohesively branded environment that guests would flock to. 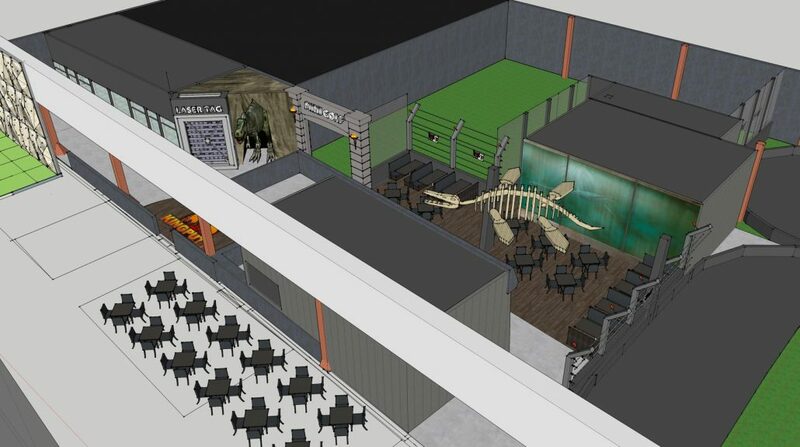 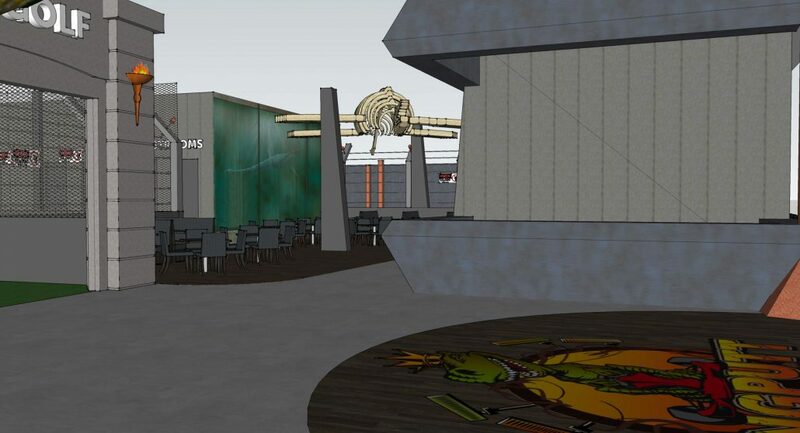 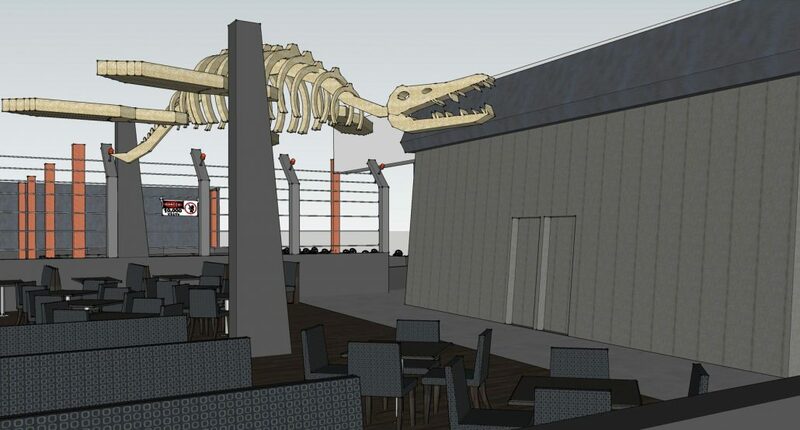 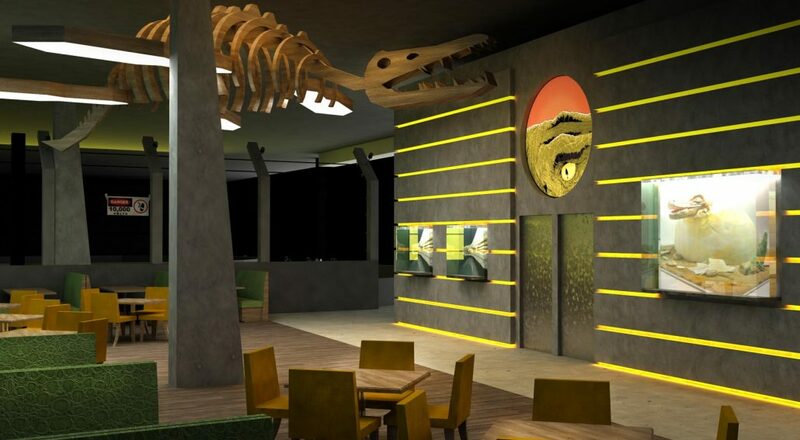 Additionally, we worked with King Putt family entertainment center to create new interior design for their facility to tie it all together and immerse guests in this Jurassic fantasy world of fun!